Angry children don’t rage for anger’s sake. Rather, their behavior is a symptom of a deeper issue. 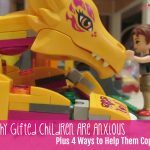 Here’s a close look at the anatomy of an angry gifted child, plus suggestions for helping her cope. They are also brilliant, sensitive, loving, and empathetic, but those things don’t garner the attention of authority figures in a school or enrichment class. Throwing a glass figurine across the room so it breaks. Yep. Nothing makes you question your parenting ability (read: sanity) more than a child who’s the perpetrator in an incident report. Or a child who makes you flinch. Or makes your fingers hover over the dial pad of your smartphone. But I’ve learned something over my years of parenting – the rage is never anger for anger’s sake. Rather, it’s a first line defense for a much deeper emotion. Punishment doesn’t do anything. It’s understanding and forgiveness that does. The word “gifted” is a misnomer. It’s not a gift so much as it is a difference, a biological variation from the norm. Brain scans of gifted individuals have revealed startling information: neural pathways (or “hubs” as scientists refer to them) tend to be denser in individuals with higher IQ levels. The denser the neural hub, the more efficient the processing of information: such scans are physical evidence of a gifted person’s increased processing speed. But the brain is a complex organ, and even one small deviation can have a cascading effect. I often try to explain it in terms of planting a vegetable garden: if I’ve only got so much acreage, I’m going to watch my spacing, right? What happens, though, if I’ve got a whole bunch of carrots, and I’ve put them among broccoli seedlings? When my plants start growing, one of those two is going to crowd the other. I might end up with a beautiful crop of carrots amidst struggling shoots of broccoli. Now in this particular garden of mine, I know the broccoli will grow. But it will be slower, more deliberate than its bold orange counterpart. This is how I look at my gifted children’s brain development. They’ve got a whole heck of a lot of carrots growing like gangbusters. The broccoli? It’s in there, but there are signs it’s not doing as much – yet. I realize it’s an unscientific analogy, but I’m a writer, so really, what do you expect? The point I’m trying to make here is that a gifted child’s brain grows differently. This is going to have lasting developmental effects. It starts with Asynchronous Development, and yes, this really is a thing. While a gifted child’s brain erupts in leaps and bounds in some areas, other areas follow an average or below average progression. You might have an 11 year old ready for high school level academics, but socially and emotionally, she’s roughly two to three years below grade. Then we take into consideration the likelihood of sensitivities. Gifted children think, feel, and react more deeply to every sense and situation: sounds are louder, smells are stronger, and emotional reactions can be off the charts. Together, asynchronous development and overexcitabilities have a major impact on emotional regulation. It is difficult for a child to navigate big feelings under the best of circumstances. Imagine trying to do so while under direct sensory and emotional assault. Angry kids don’t want to be angry. They don’t want to lash out, hurt feelings, or be rude. In my children’s experience, it’s a symptom of a larger problem. They aren’t hateful, spiteful, or the least bit vindictive. They’re actually caught in the throes of an emotional trigger and unable to manage the feelings they’re experiencing. Anxiety and anger are strange bedfellows because one would assume they exist in opposition. I know I did, which meant getting to the bottom of my daughter’s struggles took much longer. We’d had a host of broken toys and all-out screaming matches before I finally got it. The connection between anger and anxiety lies in the fight or flight response. Most people tend to freeze in the face of great anxiety. In gifted kids, the emotion is frequently stifled until the child finally erupts. The desire for perfection is killer. Case in point: two weeks ago, a dance teacher demanded my eldest leave the classroom. Turns out the precipitating incident was actually related to a missed audition. My daughter was berating herself inwardly; the dance teacher simply asked her to get up off the floor. We’ve spent a lot of time talking about self-advocacy, but my poor kiddo was immersed in a really bad case of self-deprecation. How was she supposed to tell an adult her most inward, private failings? She lashed out rather than ask for a moment to collect herself, and just like that she was out the door. Gifted kids know they are different. They know they stand out, and they know people make assumptions. Can you imagine being 10 years old and telling a new friend what you learned about the Hadron Collider? I didn’t think so. That loneliness takes time to sort out. Because children are unique and unrepeatable, there are more triggers than those listed above. Gifted children have a heightened sense of justice. They can feel overwhelming frustration when they sense someone has been wronged. Gifted children can be highly empathic. Some soak up tension like a sponge. Gifted children can struggle with impatience. It is difficult to keep your cool when the rest of the world can’t keep up. Tell your child the truth about perfectionism. Help her see perfection as perseverance, as becoming the person she’s been created to be. Teach and model emotional awareness. Talk through your own patterns of escalation and how you work to disarm yourself. Accentuate the positive. Find and celebrate the moments your child exhibits positive emotional regulation. Teach empathy through modeling, especially with your child’s emotions. Offer an arsenal of calm down tools (movement, journaling, music, and the like). Provide opportunities for choice and ownership. 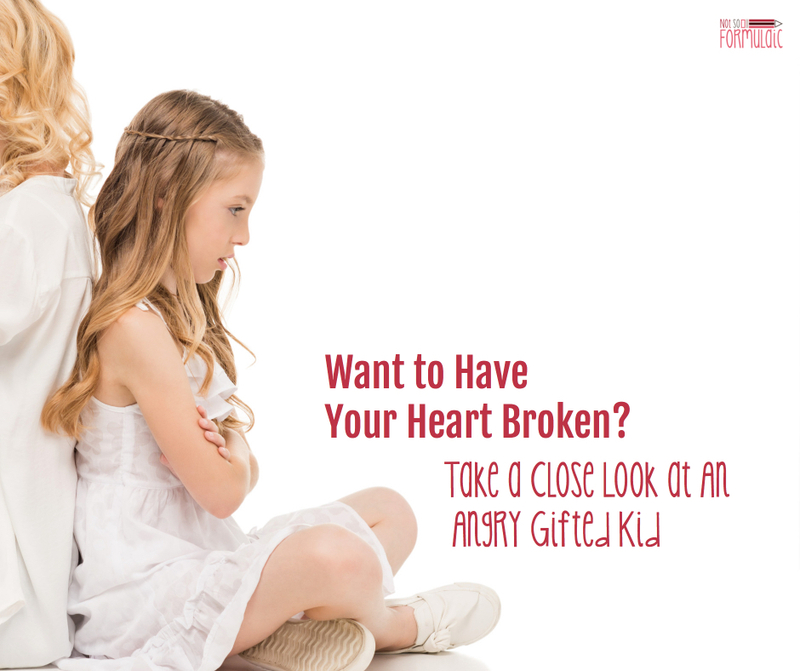 Help your child make amends for things said and done in anger and teach them to view it as a positive step. Work on a growth mindset to ease the fear of failure. Front load the reality of a situation to avoid meltdowns over unmet expectations. Talk to the adults (coaches/teachers) who are involved in your kids’ lives. Encourage your children to do the same. I have angry children. I also have children who are loving, empathetic, and brave. As their mother, it’s my job to respect those big emotions. An angry child’s outburst is a symptom, not an issue in itself. Loved your writing and giggled at your comment explaining the use of the vegetable growing analogy! I have a beautiful 10yr old boy with mild ASD and giftedness so so unique in his interests abd make-up. Would love to get further writing from you to help understand him better. Thank you! Thank you! Thank you! Thank you! This has been such a burden. How can I have such a sweet caring child one moment and a angry screeming child the next. It’s exhausting but learning to understand it will make such a difference. Great points about anger and the sensitivity underneath. Gifted kids are so complex! Thanks for reminding us that parents and teachers need to search for the underlying source and work to help these children manage their feelings. During a tantrum one day, I got on the floor face-to-face with my child and said, “You know I love you even when you are this angry, right?” He said, “You do?! ?” and popped right out of it. 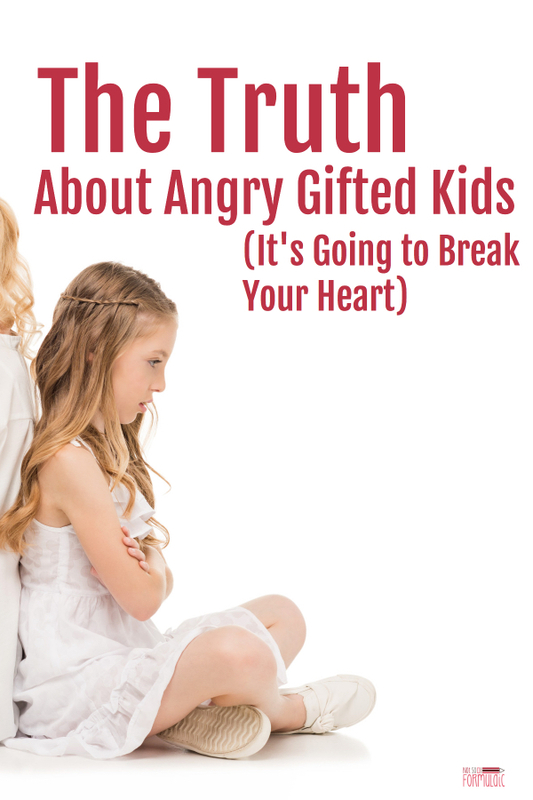 Kids need to know our love is unconditional, and gifted kids especially so. These “symptoms ”of giftedness are really just signs of children struggling with emotional regulation. Whether one’s cognitive skills are typical, slower in developing, or more advanced than most (as this author seems to think her children are), it really doesn’t matter. Emotional regulation is a better predictor for life success than cognitive skills, and more important in developing social relationships. 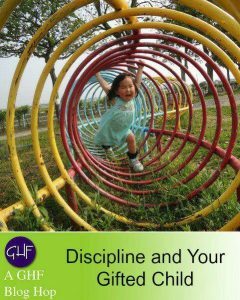 As a member of a diagnostic team who evaluates children’s developmental functioning, I know many children who are truly gifted and who do not struggle with regulation. As well, I know numerous examples of children with very high IQ’s who do not perform well academically once they step outside the familiar environment of home or high school. 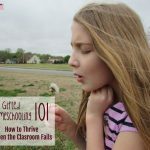 Consider getting over the idea that your children are “gifted”, and you will see that they are just kids who need support, particularly when dealing with peers, who will not be as accepting of their outbursts as mom. Hello and thank you for your comment. If you peruse my blog, you will see that my children have been evaluated using the WISC, the Woodcock-Johnson, and the KTEA. They are indeed gifted, not that I am required to prove that to you. A child can be gifted and struggle with emotional regulation. The two are not mutually exclusive, and declaring so does a disservice to gifted children everywhere, especially those who need support as you suggest. 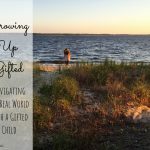 I have no illusions that giftedness will serve my children well in the future. In fact, I believe quite the opposite. What matters most is as you have said – their ability to work with and for others, maintaining a heart for service, for kindness, and compassion. I think you read a great deal into my post by suggesting I am “accepting” of my children’s outbursts. The whole point of this article is to help parents defuse the situation and provide coping mechanisms so that a child can manage their anger effectively and become more adept at emotional regulation. There are 6 profiles of giftedness. 2 of them exhibit disruptive behavior, and 2 of them shows characteristics that school systems look in for the gifted. You can find it in The National Association for the Gifted and Davison Institute serving the profoundly gifted. Thank you for your support!…I’m using this article and other information to advocate for my DS8. It’s very difficult for other people to understand our position. There are 6 profiles of giftedness. 2 of them exhibit disruptive behavior and 2 of them shows characteristics that school systems look in for the gifted. You can find it in The National Association for the Gifted and Davison Institute serving the profoundly gifted. I so needed to read this today. (Just some background info)My 7 year old son was tested and accepted into the gifted program this year but ironically, out of all the elementary schools in the district (15+ Options ) the gifted programs were only available in 4 schools, all of which are located in low-income neighborhoods and all had a very low performance rating. So discouraging. I had to decline. It just didn’t sit well or seem like an excellent choice. Looking into moving to a new district soon to start fresh elsewhere. This past year has been so tough on him. Tough on us both. I was in tears today when I got a phone call from the principal and he informed me that a social worker witnessed his angry behavior today and recommended putting him into a behavioral in-patient service. He doesn’t act like this anywhere else but school. I don’t know if it’s boredom, I don’t know if it’s anxiety or the inability to regulate his emotions or he just gets over stimulated, but I feel lost at what to do. the school administration at the school he attends calls me on a weekly basis with behavioral issues. They are constantly asking me to leave work so I can try to redirect him back to class because they are unable to do so, and 9 times out of 10 , if I tell them I am unable to, I will end up getting a phone call saying he needs to leave for the rest of the day. So frustrating. This article gave me some redirection myself on how to move forward and empathize for him a bit more. It hurts my heart to think that he knows that nobody, including himself, understands why he acts out. We finally start therapy next week & I’m not giving up. Thanks for restoring my faith tonight. Brittany, I am so sorry you are struggling. I’m glad this was able to help you find some direction. I’ll be praying for you that it all works out. Hang in there – you are a good mom. Brittany, DON’T GIVE UP. I was you, three years ago when my highly verbally gifted son started 5th grade (although he had had behavioral issues as early as Pre K). The calls from the school, the anger and drama at home – all of it an inability to regulate himself. His anxiety was off the chart. Eventually, after switching therapists, working with the amazing staff at his school, and doing some heavy lifting at home, he is learning to cope with his intense emotional life. Looking back, some of what worked was just holding on tight and keeping him as safe as possible until time passed and he matured. Things are not perfect now (as if anything is EVER perfect), but they are much, much better than they were. Don’t give up hope, as you are making an incredible difference to your child whether you can see it now or not. He will get there! This was absolutely fascinating. I am mom to five gifted kids, two of whom are also exceptionally angry children. I read this piece gratefully. Thank you, will be following in future. You’re welcome, Jessica. Best of luck and many blessings to you. Jessica! I have 5 gifted as well and 2 who are angry! We should talk….. Thank you and comes at a perfect time…. who would be best to teach a child emotional regulation? Occupational therapist and or mental heath therapist? It really depends on what is at the heart of the issue. OT will address the sensory integration portion while a mental health professional will address the anxiety/perfectionism/depression piece. If it were me, I would start with a mental health professional and go from there. Thank you for this great information! very useful to me since I’m advocating for my DS8 at his public school. What do you do when you have already incorporated your tips, regularly see the mental health practitioner and nothing helps? We have been doing this for years – 7, to be exact. He is stubborn and does not buy into relaxation techniques. He is 12 and the rages do not stop, despite my understanding of the situation and how to help him. I am afraid of what will happen when he is a teenager. Did you talk to nutritionist? Very often this points to nutritional deficiencies like omega 3 or other. Or over consumption of carbs and sugar even when kid is not overweight. I think I will try to get a more complete look at the food aspect. He is on D3, but only sporadically on omegas. I think we may need to get a gluten test or something like that. My heart aches for you. I know it must be so hard to be doing everything right and not see results. I hope that these recommendations are helpful. I wish I had more practical, try-this-right-now advice. I’ll be praying for you and your son – please don’t hesitate to reach out if there is anything I can do. I’ve read The Explosive Child and Raising your Spirited Child, but I haven’t heard of the others. I’ll read those for sure. What do you think of medication? Nothing else seems to be working. Thank you for the book recommendations! I love to research and read. I’m glad some of the titles were new to you – I hope they are helpful! We may be heading down the medication road here. I think it’s worth exploring if everything else has resulted in mediocre progress (or none at all). Have you asked your doc? My son is on the autism spectrum and this article was spot on for him. Thank you for getting this out there. I have twin granddaughters. One is very angry with the world, the other a perfect 6 year old. The have been labeled as gifted. They are in K and always say how bored they are at the end of the day. Their mom was a gifted child and very talented. She is trying to cope with this behavior but is having a hard time. Send advice. Hi, Sherry. My best advice would be to determine the source of your granddaughter’s anger. It could be her temperament; it could be anxiety; it could be fear of failure and a dose of perfectionism. The best thing to do is to consider what triggers her frustration and keep a record so you can begin to see patterns. That way, you can teach her how to recognize them along with mechanisms she can use to cope. As far as the boredom, I would recommend enrichment activities. You can find ideas here. Hi, Nanci. I would try to find a therapist who specializes in gifted children. You can check the NAGC or SENG websites; they should have a list of providers near you. Have you had your kiddo evaluated? You might want to seek a full psycho/social/educational work up to determine if you’ve got something neurological going on. Other options include a do-it-yourself approach, reading books like The Explosive Child, etc. In fact, I would highly recommend anything by Dr. Ross Greene – he’s excellent. 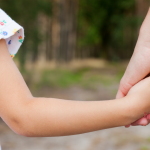 If you can’t find a therapist that understands your kiddo, start there.